Finally, I'm caught up enough to do a review of Nice Guy. I saw the first two episodes the week they aired, but didn't get a chance to watch the rest til this week. Now that I'm done with episode 8, I can finally weigh in on the show. Overall, I'm impressed. It's a clear winner in the cinematography, acting, and general attractiveness department. It's so refreshing to find a director who knows what he's doing, and I love the score. It's so very reminiscent of Bad Guy. The big plus here is that the women are able to hold their own - Eun Ki and Jae Hee are incredibly nuanced characters, and even more fascinating to watch than our titular Maru. Plus all three are stunning. Appearances aside though, I'm a bit mixed about the story itself. I like how it's presented in pieces rather than chronological chunks, and I like that it doesn't demean the audience's intellect with unnecessary flashbacks. However, I'm not finding the tale of woo all that interesting. The characters are great, but there are moments of stalling and predictability. Such as the scene in episode 8 when Jae Hee deceives Maru by pretending her bro is beating her, and then very coincidentally her brother gives this outrageously random call to Maru from Busan. Uhh--logic fail. I mean, I'm happy she didn't get away with it, but the whole set-up itself seemed pulled from deceitful-second-lead-101, and the resolution felt half-assed. No wonder viewers weren't as excited by this episode. I'm also disappointed by how quickly Eun-Ki fell head over heels for Maru, and by how little situational awareness she's shown in this area. I was under the mistaken impression that she had a plan for why she was pursuing Maru. I mean, I thought she'd realized from day 1 that he was the guy who saved her on the plane. Only, nope, turns out she was just being naive. The idea that she would entrust herself so easily to a stranger feels out of character, and is frankly a bit boring to watch. I don't get the sense that she really likes Maru for anything other than superficial reasons, because the story hasn't made it clear why she likes him aside from his face. It feels like they've known each other for all of 10 minutes, and most of that time has been spent talking circles on how they shouldn't fall for each other, etc. So suddenly she's in love? Really? I guess you could make the argument that she's a damaged girl and a little kindness goes a long way, but I actually find this line of thinking even harder to swallow. If she really fell in love with cute boys so easily, then her first kiss / first -love should have come wayyy earlier. Similarly, if she's so damaged, you'd think she'd be a little more wary before throwing her heart out at a random guy. I'm not sure I buy the connection between our leads yet, and that's a huge failing point for me with the show. As for Maru, I don't feel I know him well enough to understand. I guess that's the point of it, the fact that he's an enigma, but it also isolates me emotionally from his vendetta. He's not someone I root for or even care for - none of the characters really are. 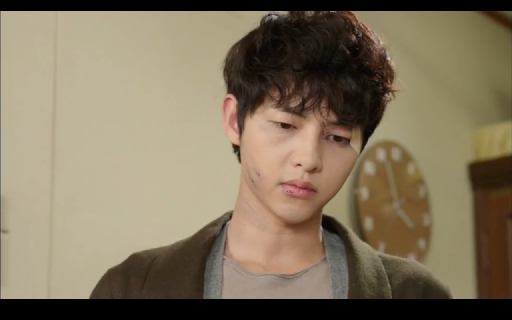 Joong-ki luckily plays him beautifully, but as a character he's not as interesting as the writing is trying to make him. 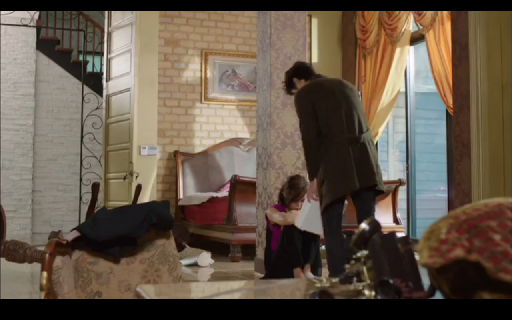 Jae Hee is crazy, but so fun to watch. 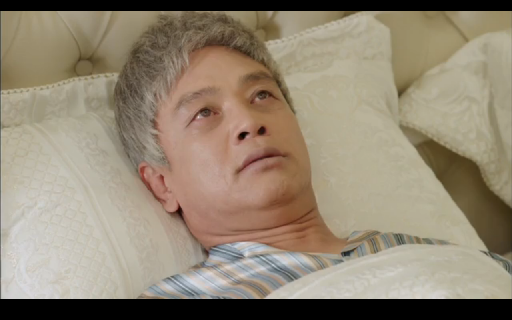 Park Shi Yeon is doing a great job here, and really making me waver from apathy to pity to strong dislike. I'd say she and Maru feel more OTP like at some points than Eun Ki and him. But I in no way want them together, unless it be through dying together. And finally we hit at the waste-of-time characters. Can I just say I hate that bubble-faced actress who played Jae Gil's girlfriend? I seriously hope she never, ever comes back. I don't know if it's the actress herself of the roles she plays, but I've hated every one of the characters she's ever been associated with (from Romance Town to Operation Proposal to this). Something about the squeaky voice and the pretentious delusion that she's super attractive is seriously annoying and tiring to watch. In fact, all three of the characters - her, Choco, and Jae Gil should be taken off the show. At this point they're not adding any value, and I foresee no future meaningfuly connection to the story going on around them. They're like children in a very adult play, and it's jarring to transition from the beauty and layered main story to their petty battles and insipid dialog. It doesn't help that I've never liked the guy who played Jae Gil (he was a waste of space in City Hunter as the not-funny-but-trying-to-be idiot) and Choco isolated me with her spoiled brat pretenses since episode 1. Putting all three of these dislikes together makes for one ugly, irritating ensemble with matching stupid dialog. If they're ever going to serve a purpose (e.g. die off), please do so now, and not 5 hours from now. The other characters - Eun Ki's dad (so weird after seeing him as Suyang), the lawyers, all that - I can't say I care for them either. This is a show that's solely resting on three legs, and we therefore only ever really care about these three. Everything else is just an accessory, or a piece of the world bringing conflict to this focal point. And while I'm not yet invested, I am interested in following to the end, if only to gape at the gorgeous scenes and actors. I'm neutral on happy vs. sad ending, so long as it makes sense and feels justified.